Rhinoceros, Other Effect Plug-in from The Lower Rhythm. The Lower Rhythm has announced the release of version 2.0 of its channel strip plug-in Rhinoceros. Tweaks to the 'tube' emulation for smoother tone. Removed phase inverter and replaced with new 'Phaze' system. Softknobs Blofeld Virtual Editor Softknobs has announced the released of beta version 0.8 of Blofeld Virtual Editor, a virtual instrument that allows you to remotely control the parameters of the Waldorf Blofeld hardware synthesizer. 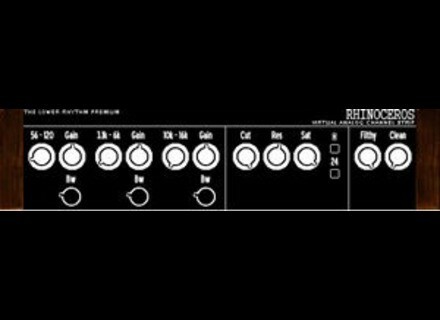 saltline Ichi 2 saltline has announced the release of version 2.0 of Ichi, a free subtractive, VA synthesizer with 2 identical sound generators and an extensive modulation matrix. PropellerHead Reason 5 and Record 1.5 Beta Test Propellerhead Software announced it has started beta testing for Reason 5 and Record 1.5.